Antec has unveiled a new CPU cooler series at Computex 2016. The lineup consists of three models that belong to the so-called Elegant series. An interesting fact is that there’s one model that comes with a W-type design, which is rare in the world of processor coolers. The cooler in question is called Elegant Triple and is the largest among the three but this is understandable. The heat sink of the Elegant Triple measures 165 x 142 x 159 mm (L x W x H) and includes three nearly symmetrical vertical fin-stacks with aluminum fins (although there’s a version of the Triple with copper fins). The gaps between the three fin-stacks have been filled with two 120 mm cooling fans in a pull-push-pull-push configuration. Moreover users can add two more fans on the two ends of the heat sink. The pre-installed fins spin at 800-1800 rpm and push between 12.36 CFM and 65.25 CFM of air at noise levels that reach 25.dB per fan. The Elegant Triple is available in three colors – red, dark nickel and golden copper with the last color version being the one to come with copper fins. 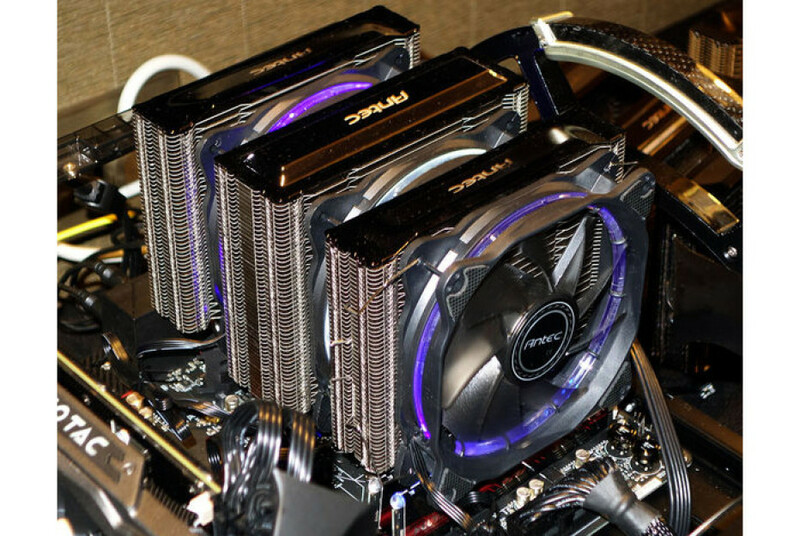 The Elegant Twin is the second cooler in the line. This one features a D-type heat sink that comes with two aluminum fin-stacks. 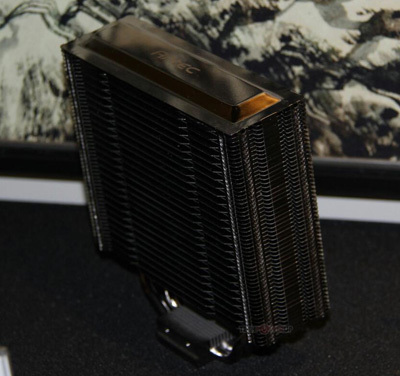 The heat sink measures 88 x 142 x 156 mm (L x W x H) and includes a single fan which sits between the two fin-stacks. The fan spins at 800 – 1800 rpm and pushes up to 65.23 CFM of air at a noise level of 25.9 dB. 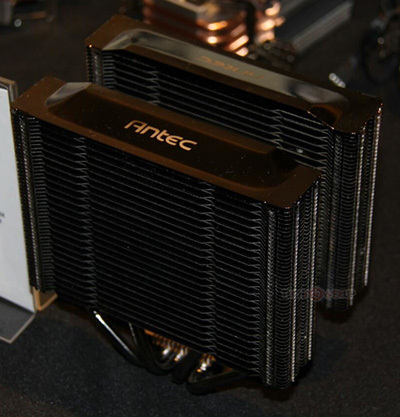 The last cooler in the new Antec line is called Elegant Single. Obviously this one comes with a single aluminum fin-stack, which is slightly thicker than the fin-stacks seen in the Elegant Twin and Elegant Triple. The heat sink of the Elegant Single measures 69 x 142 x 155 mm and comes with a single fan that spins at 800 – 1800 rpm and pushes up to 65.23 CFM of air at a noise level of 25.9 dB. No word on when these three coolers will be on the market and how much they will cost.